I just received my review copy of Zwelethu Mthethwa’s monograph published by Aperture. So excited! This is his first monograph and a monograph I have been waiting for for years. Joerg Colberg recently reviewed the book on his blog Conscientious and my review will be published by photo-eye. Colberg, or anyone for that matter, should definitely not be looking at traditional media for guidance in learning about the nuances, diversity, vibrant culture, art, and photographic discourse of Africa. About the monograph he said, “I really hope that Zwelethu Mthethwa will not be the last book of its kind, showcasing photography done by African artists. We need to see more.” I agree, in the sense that we need more monographs. Where are monographs for Lolo Veleko and Philip Kwame Apagya for example. My interest in contemporary African photography developed in graduate school. Okwui Enwezor is my favorite curator. Half of my photography collection is dedicated to African photographers and I have a wide range of books on African photography. In light of Colberg’s search and a recent #photohistory discussion on Twitter, I wanted to offer a partial list of books dedicated to African photography from my library – a good place to start for anyone interested in this history of photography. And you can read about James Pomerantz’s class on African Photography on his blog A Photo Student. I would love to hear from anyone about this subject. Please get in touch if you are a photographer, curator, writer, scholar, etc. I am specifically interested in what material/photographers are out there from East Africa. 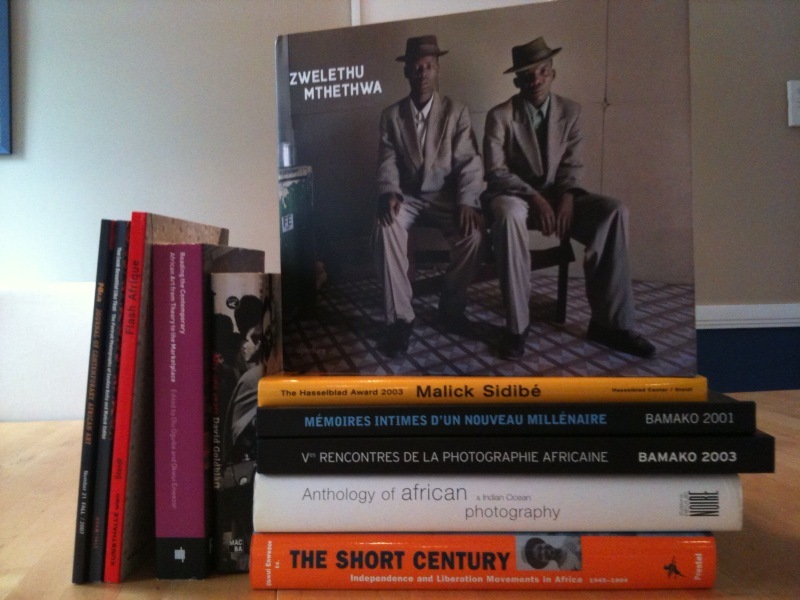 You are currently reading Books on African Photography / Photographers at Larissa Leclair.